Which institute is better for BA.LLB- BHU or Jamia Millia Islamia? Home » BHU-LLB » Latest articles » Law » Which institute is better for BA.LLB- BHU or Jamia Millia Islamia? Today we will compare the two institutes for BA.LLB course which are BHU and Jamia Millia Islamia and arrive at the conclusion about which is better. The article is divided into different segments. First we will look at details about entrance exams of both colleges, then move to why one should join the college as in the life and facilities at the college, and finally conclude with the fee for each college, the college rankings and placements. First comes the entrance tests for both colleges. Let us start with BHU. There will be 150 multiple choice questions which carry 3 marks each so the paper is for a total of 450 marks and there is -1 mark per wrong answer. The duration of the course is 2 hours. The eligibility criteria is that one should have done his/her +2 from a recognized board and the minimum marks obtained by general category at which these students can apply is 50%, for OBC this percentage is 45% and for SC and ST candidates this percentage is 40%. The total number of seats ( M&F) are a minimum of 30 and a maximum of 60. There is 27% reservation for OBCs, 15% for SC category and 8% for ST category. There will be a total of 150 questions for 150 marks. Out of 150 marks 130 are for objective questions and 20 marks are for the descriptive questions. Each correct answer wins you 1 mark and for every wrong answer .25 mark is deducted. The total duration of the test is 2 hours. The total number of seats is 120 and out of these 60 seats are self financed seats. Out of all these seats 30% are reserved for Muslim applicants, 10% seats for Muslim women,10% seats for OBC,SC and ST category who are Muslims, 3% seats for physically challenged, 5% seats for those who did their +2 from Jamia Millia school, not more than 2 seats for Kashmiri migrants. These seats for Kashmiri migrants are over and above the total seats. Also, not more than 2 seats for J&K residents. These 2 seats for Jammu and Kashmir residents are also over and above the total seats. One is eligible to apply for Jamia Millia's law entrance test when one has obtained 50% marks at least in the 10+2 exam. This score must include all core subjects and score in English. The age limit is that a general category student can apply if he or she is not more than 20 years of age as on July 1 of the year in which application is made and for SC and ST category this age limit is 22 years. The two campuses of BHU are situated over an area of 4000 acres. The campus is green and has beautiful well maintained roads. There is even a temple for all students which along with other beautiful architecture makes the whole atmosphere beautiful and conducive for learning. To add to that the atmosphere is peaceful. The crowd is an amalgamation of people who different castes, races, religions and cultures. Located in the beautiful and easily accessible city of Varanasi this college has created a niche for itself in the legal arena. There are separate hostels for both boys and girls. The college boasts of good libraries and one of its library is the largest in Asia. To supplement the class room teaching method there are lectures conducted in auditoriums and seminar halls. The computer labs are state of art. The whole college is Wi-Fi and there is 24*7 internet connection. There is a guest house as well along with a health centre in case of emergencies. There are 3 branches of state bank on the campus so that the students do not have to rush long distances just to operate their account. Then there are ATMs for quick withdrawals. That is not it yet because there is even a petrol pump on campus. That leaves nothing uncovered and the facilities available surpass any and every expectation. The canteen is open during college hours and after and provides good food which is made under very hygienic conditions. The seating capacity is around 100. There is a faculty student ratio of 1:29 which means there is one faculty member per 30 students which in a way is good enough and each student tends to get enough personal attention. Most of the staff holds a Ph.D. degree which is a big plus. For fitness freaks there are athletic tracks, a swimming pool, room for table tennis, tennis courts, and badminton courts. In addition there are stadiums for cricket, football and hockey. Then there is a hobby centre for all. Plus there are yoga classes which are conducted by yoga experts. To top it all there is even a flying club. Next comes extracurriculars such as language classes which are taken by language experts. The college celebrates an annual college program for cultural activities. This fest is for the whole university plus there is a faculty wise annual program as well. This program is also a cultural program. Then there are moot court competitions which are a part and parcel of every good law school. This means the moots are also taken care of. The college participates in not only national moot courts but also international moot courts. The college has various clubs and committees which cater to various interests of students. The university is not lacking in this aspect either and duly provides scholarships to its meritorious students. Now let us look at why one should go for Jamia Millia University. The library is well stocked and it is air conditioned and connected to LAN and 150 students can at a time log in from their workstations. There are e-books, e-newspapers, e- reference sources. The best thing I think is that there is a learning centre for the physically challenged. There are learning resources for the visually impaired through technological advancements such as screen reading, screen magnification and optical recognition. The university provides scholarships for BA.LLB Students, freeships and gold medals to encourage excellence in education. These scholarships are merit and means scholarships which means financial aid is given to those who are meritorious but cannot afford the education. Then there are gold medals which are provided to toppers as an acknowledgment to their excellence in terms of education. Besides moots the college also participates in and organizes debates. The college through its journal encourages research and fosters debate on important national and international issues. One can submit long articles of upto 10,000 words, short articles of upto 6000 words, notes and comments upto 3500 words, and book reviews of upto 2000 words. This is a snapshot into how life will be at both these colleges and now let us talk about the ranks of both these colleges. While BHU law was on the 13th position all over India last year but this year the college has made a huge jump and is on 7th position all over India. This ranking is issued by the prestigious India Today group. According to the rank the prestigious BHU has beaten many national law schools and rightly so because when one thinks of colleges with a better rating then only NLSIU Bangalore, NALSAR Hyderabad, GNLU Gandhinagar, NLU Jodhpur, ILS Pune, and Symbiosis Pune come to mind. Now let us see where Jamia Millia Islamia stands. According to the rating the college lags behind BHU and stands at 25th number. This rating is to be read keeping in mind that it covers all law schools all over India. Then comes another important factor which is the fee. Statistics show that the education at BHU will cost a lot more than education at Jamia Millia. Finally comes the most important parameter on the basis of which one judges a law school. This parameter is the placements. Let us start with Jamia Millia BA.LLB placements. Middle tier firms such as Luthra and Luthra, Fox and Mendel came to this college for placements in previous years and offered a package of 5-6 lakh p.a. and above. Though the pattern observed was that students from this college were seen more inclined towards further studies and litigation. Now that we have talked about the BA.LLB entrance exam for both colleges, life at these colleges, the fee and their ratings and placements we are in a position to now make an informed choice so do make the informed choice, talk to the alumni if possible, think of more parameters if you can and research on them because it's not just a matter of five years but of your whole career. 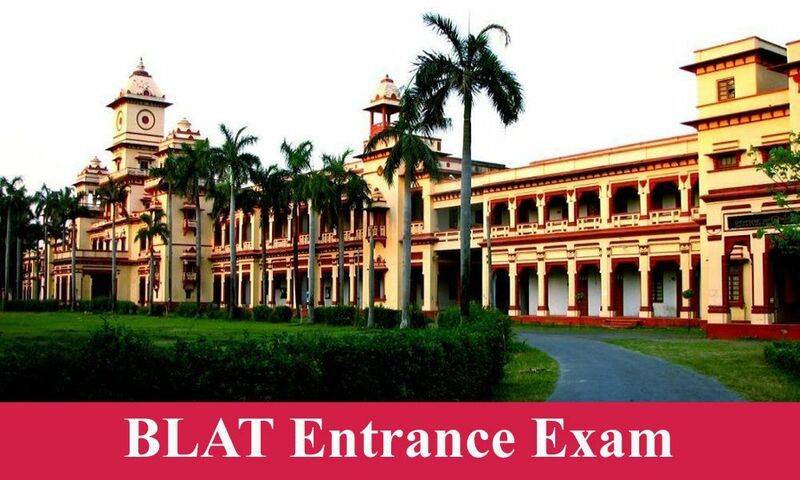 Law, Management & Hotel Management Exam Preparation | Clear Law Entrance: Which institute is better for BA.LLB- BHU or Jamia Millia Islamia? compare BA.LLB course between BHU and Jamia Millia Islamia and know about 5 year law cours, entrance exam, Syllabus ,BA LLB Eligibility , Exam Date,Cut off.